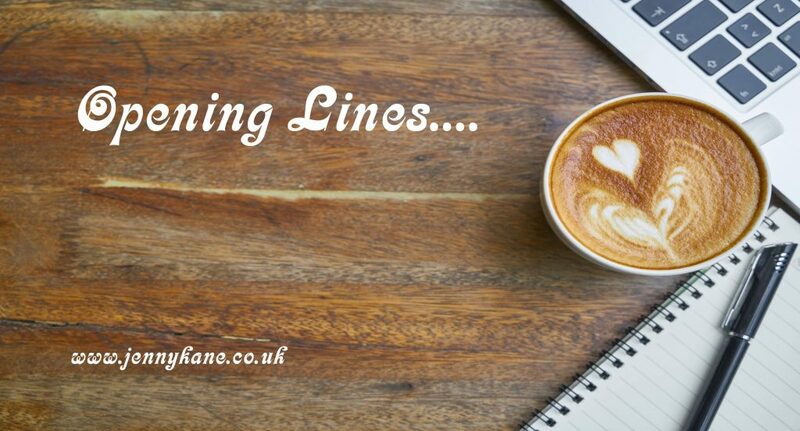 Opening Line’s blog day is upon us. Today, Simon Farrant is joining me to share the first 500 words from his very first novella, Famously Ordinary. Hello! I’m Simon Farrant, and this is my submission for the great 500 words blog. I haven’t heard of this concept before and I think it is intriguing. I hope that you enjoy the excerpt! My book is called Famously Ordinary about a man called James Dean! Many years ago I met a young man called James Dean while I worked in a mobile phone shop. I wondered what it would be like to have the name of a famous person. Of course, being British, I didn’t ask him. Fast forward to last year, and I started to write stories. The young man came back to mind; I wanted to write a horror short story for an anthology. As it happened, the anthology never came about. This was good news for me in an unexpected way because a year later I rejigged the story and this novella was born. ‘James Dean is an ordinary man with a famous name. But when he sees his father die in a traumatic car crash, something in James’ subconscious snaps with lethal consequences. James Dean hated his name. Several times a week he thought about why he didn’t have a regular name. James blamed his father; he more than likely took charge of naming him. Like most things in his parents’ relationship, his father liked to think he was ‘the man of the house’ and dominated all the decisions. He decided what companies to use for utilities, and everything else. Denise sometimes asked to be more involved, but she got nowhere. Dean Dean, his father, was hung up on his name, but unlike his son, he tried to not let it show to the outside world. Being from an older generation, it wasn’t the done thing to let your emotions shine through. James survived school and college unscathed; youthful ignorance meant most of the kids didn’t connect to the movie star, and those who did thought having the same name as a famous person was cool. Still, he had a lot to be happy and content about. James had a nice job in the same warehouse his father worked in that paid well, a nice car he had chosen because it was what he wanted rather than just being what he was able to afford after scraping the money together to buy it, and a nice detached house with an integral garage. He could buy nice new clothes as and when he wanted, which he was grateful for because he didn’t like to wear the same clothes repeatedly. Nice. Such a small word, James thought, but damning by faint praise. James believed his life was normal, like other successful people. Yet he aspired to be something more. His mind was always on fast forward, daydreaming. He was fascinated by the adverts on television for the RAF Reserves. That looked extraordinary; he just needed a push in that direction. He hoped Dean would dare him to apply and say he thought James wasn’t cut out for it just so he could prove him wrong. To entertain himself when he saw someone on the street, he would often invent a story about them for a few minutes. These stories were detailed, and they came to life in his imagination when he saw them play out in his mind’s eye. It is true, what they say; you never know where life is going to take you. I’m lucky enough to have had a diverse experience of life thus far. Back in 1975, yeah I’m ancient, I was born in Doncaster; a town in South Yorkshire, England. I’m proud of my Yorkshire roots. Over the following few decades, I lived in various places. I went to university in Derby and gained a HND and a BA (Hons). Since then, I lived and worked in a few more places before finding the love of my life. We moved in together, got married and had three kids. What an adventure; it started almost fifteen years ago. Since then, I am proud to have served as a Special Constable. I wanted to join up full time, but life had another plan. At the time, I was working for a major national supermarket as a HGV (large truck) driver, which I did for over a decade. I became ill, I think it was during 2011, but the illness never went away. Now I am disabled with various chronic illnesses, which resulted in my losing my job about four years ago. I did wonder where life would take me next. Mark Nye, a superb writer and a friend, asked for submissions for an anthology. 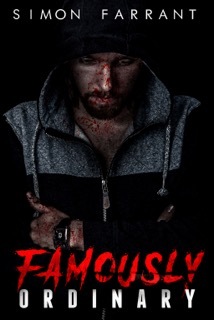 I wrote a short story called Famously Ordinary. To my delight, Mark told me it was a good story. By then, I had caught the writing bug! The anthology was never actually published, so I made it into this novella, which, I feel, is a much better story. Good luck with your first publication. Don’t forget to come back for Jane Risdon’s first 500 words next week.